You’re an excellent student. Last year, you had the highest percentage in AP Biology—and that’s not an easy class! You’ve always excelled in social studies, geography, and history as well. And it’s no secret that your English teacher thinks you should major in her field. So why can’t you make decent grades in math class? The sad truth is that nobody’s fantastic at everything. However, everyone can at least be good, even in their worst subject, if they try hard and get the expert help of a qualified tutor. To find a math tutor in New Canaan, CT, go to NewCanaanTutor.com, where you’ll find math tutors who can help you with a variety of math courses, including business math, algebra, geometry, calculus, and trigonometry.Math tutors are available in New Canaan, CT, for students at every level. At NewCanaanTutor.com, we have math tutors for elementary students, middle school students, homeschoolers, high school students, and college students. It doesn’t matter whether you’re in honors, remedial, or AP, you can find a math tutor at NewCanaanTutor.com for either in-person or online math tutoring. Tutoring Services, LLC can connect parents of Westchester County NY, and Farifield County area with reliable math algebra tutors or nearby areas, whether your son is in college or high school or middle school our Algebra Mathematics experts can help. For parents with Middle school kids who’re taking their first algebra class can also greatly benefit from the assistance of a private lessons in Pre-algebra, Honors Algebra, Algebra I, Algebra II—whatever course you’re taking, you’ll be able to find an algebra subject matter expert to help your son or daughter better understand rigorous subjects of mathematics.. Choose private math tutors within your own home or some other convenient location, or select an online math tutor. Math Educators trying to become certified teachers for the state of New York! I am not conviced, if i should contact Tutoring Services, LLC agency to help me find algebra math tutor why not do it myself with out an agency? Good question click link below to find out why that is. We can help you find the right math tutor who you can even meet face to face over our video conferencing system directly from your IPAD, PC, or Microsoft Tablet before they show up at your home. Didn't like the tutor? Let us know and we will help you find another tutor, in math, algebra, pre-calc, statistics, geometry, trig to help your son or daughter prepare for the rigorous mathematics mid term or final exam. Don't rely on companies out there who simply allow any random math tutors on their sites, we carefuly review each candidate before they go out to Greenwich CT student's home. We have 2 types of tutors local and online. Local tutors can be either regular math traditional tutors or hybrid math tutors, who intercombine in their tutoring both math and latest technology to teach your students math. For more info about hybrid math tutors visit our sister WestchesterTutoring.com site. Top 5 Reasons for Parents to Use our Algebra Tutoring Services in Fairfield and Westchester NY as oppose to searching for Tutor on Your Own! Math tutoring takes place at home, public library or starbucks, or alterantively online. Pricing for hourly rate depends on qualification and educational experience. Some tutors are certified teachers, some subject experts. Our subject matter experts also offer discount packages, helping parents save money on their expenses. Even if you live in New Canaan CT, Greenwich, Norwalk, Westport, Weston, or Wilton our tutors can travel to these locations and provide high quality Fairfield County academic educational services. With a private math tutor in New Canaan, CT, you’ll get the one-on-one attention you deserve. Get math homework help, review class notes, prepare for tests, work on projects, and ask the questions you were embarrassed to ask in class. Private math tutoring means you won’t get lost in the classroom crowd or have to compete for the instructor’s attention. You’re the only student! And the lesson’s all about what you need to learn.Contact NewCanaanTutor.com today, either online or by phone, and find a math tutor in New Canaan, CT. After a few sessions, you’ll honestly be able to say you’re good at everything—even math. We also have reliable math pre-calc tutors in Stamford Farifield County CT who can help students in college or high school get better grades. 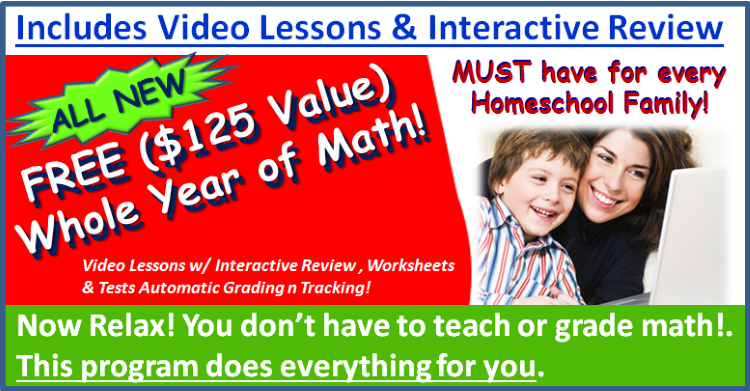 Math Tutoring Online or in person for Fairfield County Connecticut Students! If Private Math lessons are too expensive, why not try our Online or Self-study Math Materials? In addition to our Math Study Guides we also provide Online Math Tutoring over Skype or in person. This is a great alternative for students on the budget who can't afford private tutor, or if perhaps no local expert being available or any other reasons such as, subject that you need help with requires extreme level of advanced mathematics help. Either or we got you covered! We have expertise in academic subjects such as Algebra, Geometry, Pre-Calculus, Trigonometry and many other mathematics subjects. Math Group Tutoring as alternative method to reduce tutoring expenses for Fairfield County Parents who are on the budget. Have you considered having your child tutored in group? Group prices are much more affordable then one on one math algebra private tutoring. We have educators who can offer group teaching and one on one teaching services in algebra math subject. However, private math 1 on 1 tutoring is better is more effective than a study group too. Our mathematics experts servicing Westchester County NY and Fairfield County CT know Math subject well and have the necessary experience teaching algebra other students. To reserver your group tutoring lesson, please review our math instructor profiles. Don't have money for a local algebra tutor to visit your son or daughter in New Canaan CT? Can't afford 1 on 1 real time online algebra tutor either? Need help in Algebra, Pre Algebra math? Here is what we recommend to Westchester County and Fairfield County parents for their home school kids who simply need help algebra subject, or any kids looking for algebra mathematics help at affordable price.. This program is very cool and very affordable that beats local and one on one tutoring prices by far! Hence if budget is an issue and you simply want to have your kids jump onto a computer and study math in a nice interactive way then this is the program for you. Note for more reasons why algebra mathematics interactive video study guide course is the best option for Fairfield or Westchester County Parents with elementary grade level kids visit this link. Affordable Math Textbooks For College Students in New Canaan CT area! We realize education can be expensive, Tutoring Services, LLC helps make books affordable. Which is why we created UsedCollegeBooks.NET site, that allows students to buy and sell books directly from each other on campus, avoiding the middle man and helping students save money on shipping and waiting in llong lines in your college bookstore. We have mathematics textbooks which you can buy directly from other school students, simply register on our site FREE of charge! Post your Math Book and wait for the other students to contact you and meet them directly on campus and sell your book. Alternatively students can buy or sell Math textbooks online and see how much their book is worth. Want to find out how much it’s worth? Visit UsedCollegeBooks.NET today! Here is how independent online math tutors can maximize their chances of landing student leads. Who our marketing services is designed for? Our unique marketing service is designed around independent online math tutors who are seeking to simply improve their chances of making more money, by being blasted across our educational network of math tutoring sites. What subjects math tutors can be advertised in? Can this innovative marketing service help online math tutors be found in academic math related exams? The answer is Yes. Many of the math exams that we can help independent online math tutors be advertised are listed on this very same site StudyGuide.net as well as on the other sites, as described in the videos further down below. What type of exams can independent onlne math tutors be advertised in? GED,GRE, GMAT, ASVAB, ACCUPLACER, CLEP,SAT, ACT, Praxis, FTCE, CSET, ISEE, SSAT and other exams that are most commontly taken by students. Why should onlne math tutors consider signing up with our marketing service? One of the reasons is simply because you can bring home more money for yourself from each lesson you tutor, since we do not charge you any agency recurring fee, and instead student simply pays $15 for the first trial lesson, which you agree to deliver to student for FREE, in exchange for being part of our network. After teaching student first lesson free of charge you can work direct, avoiding the middle man and bringing home more money. To see what we mean view videos at the bottom of the site. Additionally, tutors who are registered on our hub website TutoringServices.com as online math tutors, can gradually maximize their chances of landing their student leads by upgrading themselves from FREE registered member into Premium membership. To see what we mean view videos at the bottom of the site. What is the disadvantage of our marketing service for independent non agency managed online math tutors. One of the disadvantages of not being agency managed tutor is the very simple fact that we would trust you less. Less Trust = Less Opportunities for you, hence less money. Hence on one side you not being robbed by the agency recurring fee is a good thing, but it can also be a bad thing. However, before you begin watching videos, we would like you to understand the difference between being your own boss, and not being your own boss. Being Your Own Boss = Online Math tutor who is not managed by the agency. At this point you maybe confused why we are explaining this to you, but as you continue reading and watching videos you will understand the difference and be able to better determine for what type of online math tutor you should become, and whether or not you want to strike it on your own or strive to succeed together with the help of our agency. Difference between being agency managed and not agency managed online math tutor. Note,  the marketing services described on this page are strictly for independent online math tutors who are not managed by our agency Tutoring Services, LLC. However for the purposes of better understanding the difference between the 2 models, we briefly describe, what agency managed business model for online math tutors really is. If you were managed by our agency Tutoring Services, LLC then you would receive even more opportunities then what is described on this page for non agency managed tutors, but would be subject to hourly agency recurring fee from every hour you teach (plus it's very difficult to become our agency managed tutor, since that requires you being math content expert as well as online math tutor). In case if you do not want to be an independent online agency managed math tutor and intested be your own boss, then simply continue viewing videos further down below, for more details about our marketing services.. 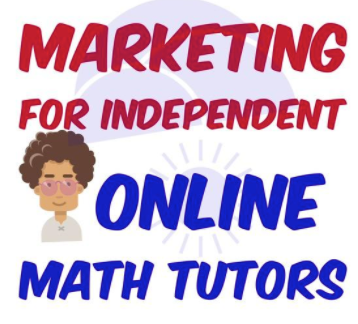 However, in case if you are curious in not wanting to be your own boss, and be agency managed onlne math tutor and be under our wing, then check out this link to see how we market our online agency managed math tutors to students and parents. Now that you are familiar with both types of business models that we offer for online math tutors, and probably by now have decided that you do not want to be managed by the agency and do not want to pay any agency recurring fees, and ok with not getting more opportunities brought to you by our agency Tutoring Services, LLC, then continue reading further below for how to strike on your own and be your own boss. To get started, simply infuse information into your brain shown in the videos below. Also consider checking messages on the bottom right corner chat window from the automated chat trigger. Boost your Math Skills and prepare for Praxis Core Math Exam with confidence! Tutoring Services, LLC has done it once again, and pulled of incredible detailed study guide that can help students prepare for their Praxis Math exam either 5732 or for 5751 combined math only section. MathBooster Detailed Study Guide is part of the teacher certification diagnostic study system, the very same system that was designed by Tutoring Services, LLC for Biology test preparation course named BioBooster which you can look at here if interested. Disclaimer: We are not affiliate with ETS official test maker of Praxis Math 5732 and 5751 Test. All trademarks belong to their respectful owners. ETS Makes many other tests as well not just Praxis, however many students simply find that official test preparation materials for this exam are not enough, which resulted in many educators failing exam. Our company Tutoring Services, LLC is helping such educators maximize their chances of passing this exam. Note under no circumstance, do we guarantee that you will pass your exam. However, we do help you maximize your chances of improving your score. In this article founder of Tutoring Servics, LLC and author of this book, presents MathBooster product, designed to help you prepare for your Praxis Math Core exam. Author also shares his story and raises self awareness questions about your inner you and guides you in the right path of either continuing in becoming certified teacher or simply reversing your decision into another profession. Rome Wells goal is not to sell you anything, but to help you make up your mind. Although if you do want to buy MathBooster do not hesitate to contact us from the bottom right corner chat window, or send an email to info@stamfordmathtutor.com stating that you are interested in getting help and looking for some study materials that can help you study for Praxis Math Core exam. Note this Study Guide is only for Math part not English. Depending on how many students express interest in reading section, our company may consider creating similar study guide for english section. This MathBooster detailed study guide is tailored towards future teacher certification students who are tying to pass their Praxis math exam and qualify to enter teacher certification program in college or university to eventually become a teacher. Note this test is also taken by some other school candidates who are not going into teacher certification program. Regardless if you are trying to become an educator or taking Praxis Math Core for any other reasons, this study guide is simply the right choice for you, especially if math is your weak subject. Who is the founder of Tutoring Services, LLC and author of this book? Founder of Tutoring Services, LLC is Rome Wells and contributing Author of this book as well. Rome Wells is former secondary certified math teacher for the state of CT, who started working for the board of education at the age of 16, who launched local tutoring businesses in CT NY and NJ, and helped students get better grades throughout his career, while simultaneously working as Information Security and Network Engineer. His IT Engineering books you can see here. Rome Wells is an academic advisor, educational advocate and simply knows what teachers want and what students want. Many of the methods described in this book come directly from Rome Wells, from his years of experience tutoring other students math. Tutoring Services, LLC is the company that Rome Wells founded a while back, that specializes in helping students save money on college education, find affordable, tutors, study guides and get better grades, as well as helping educators make money doing something that they love to do. 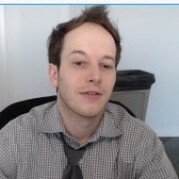 His social media sites include pages like Facebook.com/MathTutor site like UsedCollegeBooks.NET  www.TutoringServices.com and many others that he has founded. Rome Wells has helped many students succeed, not only in teacher certification field sector, but in many other sectors ranging from military, medical, law, accounting, business, IT network engineering, nursing project managers, many other professional sectors. Rome Wells (author's) Story of becoming a math teacher. Hi, this story is about me Rome Wells and my journey about becoming certified math teacher. First of all I want to congratulate you in taking this long journey in achieving such an amazing dream of becoming a math teacher. USA is a big country, and there are lots of big roads and lots of great activities, however to enjoy majority of these activities, live in a nice house and sleep well without having to to worry about your finances, takes a lot of courage, and a lot of passion. It's also a good idea to have a goal in mind. Goal that can help you put bread and butter on your table and feed you and your family. My journey of becoming a certified math teacher for the state of CT was something that I had to do, not because I wanted to major in math, but because out of fear. Yet that fear helped me to become who I am today. Can you see your self in similar shoes? Are you driven by fear? Or your goal? Or your inner you? Is your goal to feed the family and have rewarding career? Can you hop across multiple fields and discover your self and what you actually want to do, or perhaps.... you are not sure how to discover your self and only taking this praxis math exam out of fear that you can not do any other profession? Goal that can help you realize your dreams, or perhaps goal that you may not be aware of your self and sort of considering teaching degree, but not really sure if it's right thing for you. Well let me tell you something honestly, from the bottom of my heart, from my perspective and my angle and what I think about math and what i think about teaching, and why I think it's important for you future teacher helping you realize your own goal, the goal of whether or not you truly want to become a teacher or perhaps the field is not for you. As it was the case for me Rome Wells.... and what made me the way I am today. Here is what I think about teaching. First of all teaching is great, but it's not for me, teaching is amazing, but it is for me under certain circumtances and under certain conditions, teaching is rewarding only if you are seeing your rewards paid off, teaching is inspiring only if you gain that level of inspiration from students who truly reflect upon your efforts. Now let me tell you my story. My story is simple, I am Rome Wells, here is my profile tutoring profile and it shows my teaching certificate in mathematics. I also know that possibly you are thinking on the back of your mind that perhaps you are not sure if teaching is right for you, perhaps you are thinking that is the only thing you can do, or perhaps you are thinking that you simply do not know what else is there better to do than to teach. I realize... this is what you are thinking possibly on the back of your mind. I understand it. I am not here to brain wash your or tell you la la byes, instead i am here to help you future educator transition into the cruel world of education. The reality is, education is the degree that does not pay well at least in the educational industry type of job role in comparison to financial industies or even hot scilicon valley type of job roles in tech, the reality is, only if you truly enjoy what you do you can succeed, the reality is if you truly enjoy working with kids and teaching them math in class room settings and not afraid of stress and embrace it then you will never feel like you are at work. However, don't be fooled, by the reailty that others have created and bestowed upon you, do not be fooled, by the catchy marketing phrases spread across the internet luring you to becoming teacher, do not be fooled in going towards the path which you have not realized or reflected upon your self. Do not be fooled by the existence of reality that surrounds you, do not be fooled by the fact that others are better than you, do not be fooled that you can only do elementary education in math if your degree was in education and you have no foundation for any other career. I realize you are concerned, you want someone like Rome Wells to show you the right path, the path towards success, the path towards freedom, the path towards prosperity the path to happiness. I realize you are possibly scared of this Praxis Core Math exam and I realize that you are thinking about taking it and moving on with your life and following the dream. 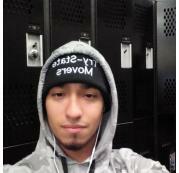 However I encourage you to think about your reality, listen to Katy Perry song chained to the rhythm and think about yourself from another angle, place your self in the shoes of anohter person, take your self and ask your self why you want to be a math teacher and why do you want to work for the state of Texas? Ask your self, is it truly you? Now you may say wow, this is such a deep speech, it's so passionate it's soo inner... it's so... real.... The reason why i am telling you this is because I do not want you to make mistake, that other people make when they going to the field of teaching and becoming math teacher simply because they went to university received college degree in psychology or not so relevent degree to anything else and decided to fade themselves away with what's closest and most realistic. I understand that, but I also understand the concept of destiny, I also understand the concept of inner soul, and I understand that there is 2 of you, your inner you and your outter you. Your outter you is someone who is making decisions, based on the logics of the brain, and your inner you is something that guides you along the path, it's something that is within you, without even you realizing, or perhaps you sort of realizing it but no one really telling you about your inner you. Your inner you, can either be, teacher, creator or healer. Perhaps in previous life you were a healer, or perhaps creator or perhaps a teacher in one shape or form, and perhaps you do not even realize it. What I want you to do is to tap into your inner you and ask this question of whether you trully want to be a math teacher. The best way to do that is to take a break, go to Hawaii enjoy the nature, and join one of the sound and relaxation centers, talk to the people in Hawaii and come back to Texas to rethink whether or no you truly want to be the math teacher. I want you to do that, before you take that test, because after going to Hawaii, and attempting to discover your self, you may come up with a completely opposition conclusion of what you are aiming for. This is precisely what happenend with me Rome Wells, when I traveled to Hawaii, in what so called a small island of Maui. Where I stayed in one of the house guests using airbnb and met an incredible yogi, who explained to me concepts of life and it made such a profound effect that my entire life turned 180 degrees in opposite direction in relationship and in regards to everything I was doing before. What I learn on that island is the meaning of life, and what I learnt has helped me opene up my eyes, and see who I truly am. The realization that helped me open up my destiny, the realization that everything in life what I was doing was simply completely against my inner me, and what I learnt is how to tap into my own destiny and my inner me and realized something that math is more than numbers, instead it's a universal code that is pre-programmed within our habitat within our thoughts, within our presence within our daily lives. Understanding this code from another perspective, from the standpoint of science and how it relates to my inner me is exactly what I discovered in Maui. When i went to Maui, I met one of Yogi from national geographic channel by pure accident and another yogi while staying as the guest in on of the houses using airbnb. When i went to Hawaii, I was so connected with the nature and realization of who I am that when I got back from Hawaii to Connecticut, my entire concept of living flipped upside down. I realized that to reach that level of upside down state and tap into your inner self, you simply need to go with the flow, but still have relevant levels of planning in the mix of your journey, whichever journey it maybe. Whether it's an academic journey or career journey in becoming elementary or middle or even high school teacher or doing something completely random such as selling yougurt or opening up your own bike shop. What is the bottom line before becoming a math teacher? The bottom line is what i need you to do is to tap in your inner your first before becoming a teacher, it's either going to be the greatest thing you have done in your life.. and you will thank me later... your inner you may either agree with you and your path, that you have chosen or guide you in the different direction. For example if in previous life you were IT Engineer, then perhaps you were a creator in your previous life and your inner you may take you in the path of for example joining IT field and making more money than in teaching. What if the bottom line is for you to become someone else instead? Or perhaps, joining field of accountants or project managers or information security professionals or something trade oriented, or selling stuff on amazon or perhaps running your own boutique store. Or perhaps your mind is really in the business world or perhaps in military world and you do not even realize it. View other exams Rome Wells advocates and helps students prepare for here for project management, for business, for medical, for information technology, for military, for nursing. Education is not the only field where you can strive forward academically remember that. Is education field really for you? Although yes, education is a nice field, you do get to have vacation in summer, and can tutor part time after school often making more money than in other professions, but that strictly depends on the area you are in. CT NY and NJ are the hot areas to be in avg hourly tutoring rate is higher there for math teachers, however the lower the grade level is the lower teachers get paid for their tutoring efforts, for example elementary level teacher would get paid less than high school level teachers or college, hence picking an extra cert for higher grade level doesn't hurt. Doing well on the praxis core exam can help you boost up your tutoring profile and increase your qualification, even if you are not a math teacher, but taking praxis core exam only to satisfy your graduate teaching program requirement. In either case I Rome Wells, teach not just math, but teach, spirituality, business, coding, information technology, marketing, cyber security and hacking, IT consulting, project management and pretty much anything that exists on this planet earth (or at least most of it). Now you may say how is that possible? The answer is anything is possible if you put your mind to it, and being in multiple places across multiple industries not just education is also possible, but to remember don't spread your self thin or else.... you may end up being way 2 general and end up not needed anywhere. Ok enough about me after all you are here to learn and prepare for this exam, the best way possible. Here are some tips to prepare for exam best way possible. Methodology behind this Detailed Study Guide? To help educators pass Praxis Math Core exam, by infusing brain power of Rome Wells directly into student's brain. (of course not medically, it's the figure of speech). Study Guide is designed to be part of Diagnostic Study System, however what you are getting here is only Detailed Study Guide. Our methodology and core framework for helping students prepare for this exam involves creation of test preparation materials that work togehter side by side in combination with one another to help students get better Praxis Math score. 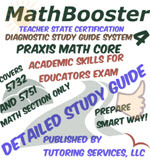 Praxis MathBooster Detailed Study Guide (a heart to the Diagnostic Study System) is simply one of the study resources which is part of the MathBooster Teacher Certification Diagnostic Study System, that helps you refreshen your math skills, memorization skills, especially for the type of educators who simply were never good in math, but attempting to become elementary school level teachers with minimum level of math needed in their future teacher ceritification career, or some other similar professions that simply doesn't require a lot of math. What is MathBooster Teacher Certification Diagnostic Study System? As you can see there are multiple study resources that are part of the diagnostic study systems, precisely 4 of them. Our test prep methodology is all about first testing student, seeing how well they do, then having student go through the detailed study guide, and then if still not feeling confident getting help from online tutor sold seperately, and only after these 2 steps are complete, taking the post test to see how well you did after going through the detailed study guide. If score difference between your pre-test and post-test raw scores are clearly different and you see high level of improvement, then this helps you to get the overall level of understanding for how effective our MathBooster detailed study guide really is, and if indeed you saw major improvement in your test score on post test in comparison to pre-test, then the chances are that you have reached higest level of learning effectiviness for the math section area of your Praxis exam, thereby essentially giving you level of confidence that you need to go and take your Praxis math test. Going through entire Diagnostic Study System is our recommended approach to anyone who is trying to prepare for this exam. I.e Purchasing pre-test, detailed study guide, optional online live tutor sold seperately and a post test. Note this approach is recommended, however as mentioned earlier, detailed study guide was also designed to be sold seperately. For many students who simply do not want to bother spending money on pre-tests and post-tests, and instead simply prefer purchasing MathBooster Detailed Study Guide and combining it with any other test preparation resources found on the market for better learning effectiviness, then this can also be a valid option. However, your level of learning effectiviness for the content area covered in the detailed study guide in conjunctions with what is shown in pre-tests and post-tests, may be significatnly different, and if you end up studying with the wrong materials, this can also result in possibly failing your exam. Reason for that is simple, our pre-tests and post-tests are designed to be 1 to 1, meaning they are similar in nature, and they cover same topics that we cover in detailed study guide, and they make references to the detailed study guide, helping you reinforce your level of understanding even further. If you end up getting other type of materials on the internet you simply won't get that same level of learning effectiviness as you would with this specialized diagnostic study system, specifically designed by Rome Wells for future educators such as yourself. What is exactly being sold here? Now that you understand what our MathBooster diagnostic study system is, take a look at the actual resource number 2 (which is Detailed Study Guide that is listed here for you to consider purchasing for your Praxis Math Core test preparation journey. What we further describe on this page is MathBooster Detailed Study Guide Resource. Note there are other resources that are part of of Teacher Certification Diagnostic Study System such as pre-test, online math tutoring and post-test. However, this listing is all about Detailed Study Guide. Are you a student who failed Praxis math exam or didn't take it yet? I am an Online Test Prep Compay or a Tutoring Company, I really like the idea, how can I contribute? If you are a tutoring agency or online test prep company and want to contribute. You have 2 options, go to this site and vote that you want this Diagnostic Study System created,  https://plus.google.com/collection/4bpxoB   We can either have you sign up as our affiliate partner where you can refer students to us and get share of revenue from every sale of the Diagnostic Study System (within exception of tutor) or contribute in other ways. Help us recruit agency managed tutors, have them create this product and your company gets to be on this product with your company name below Tutoring Services, LLC's name showing as contributor. You get to enroll tutor into our platform, you get to instructor the tutor to create Diagnostic Study System. You get to manage your tutor who you enroll as agency managed tutor specifically for this subject or any other math subjects for which tutor is registered in. You get to be the boss, and you get to preserve your company's identity under umbrella branding of Tutoring Services, LLC. You get to earn share revenue from each product sale and from share revenue every time tutor teaches. You get to handle customer support and respond to student inquires either by phone or internal messenger or email and you get to make sure that agency managed tutor has created FREE practice questions and tutorials relevant to this product in their tutoring profile, helping agency managed tutor be differentiated. You get to be the marketer of the agency managed tutor on lower level, and Project Management Company and get to be the graphic design company for content within the course and you get to be the match maker selling tutoring packages to students for this course. So what will your agency Agency Managed Math Tutors get to do? Agency managed Math tutor gets to be the actual content creators and gets to be managed and directed by your contributing 3rd party tutoring online test prep company. Tutor who you enroll will end up being your agency managed tutor, and you can match make this tutor in any other math subject on our tutor listing CallMyTutor.com platform, neatly illustrated in the form of a discount tutoring package with well differentiating profile and make commission from each student you match make with your agency managed tutor. Also will agency managed math tutors who end up creating MathBooster end up getting paid? In either case, tutor will need to be provided incentive, and not just incentive in creating study guide, and pre-test and post-test, but incentive in making continuous recurring revenue from the product that student creates, by getting a small share from each sale. This will hold tutor responsible and wanting to create better product, simply because if product is not good quality, then well… so are the earnings…. Simple as that…  Our company creates perfect equilibrium between what 3rd party agency gets and what tutor gets. Can 3rd party agency enroll multiple agency managed tutors? Yes with 2 tutors per product, one backing up another one primary. With first tutor enrolled initially and 2nd followed at later stage, this way both agency managed tutors can make money and both must have practice tests and tutorials in their profiles and both must know in and out entire diagnostic study system content. Primary and backup concept is used in every engineering project that I Rome Wells have created in the past in IT network consulting industry and carrying over that concept into this educational field as well. If I can network binary numbers, I can network tutors, students, and agencies together in a way that makes sense, and that is precisely what my company Tutoring Services, LLC is intending to do. How will my 3rd party Tutoring Agency manage  to convince agency managed tutors to create this product? It’s very easy to convince tutors, to create this, because in comparison to other companies, there is a share of revenue involved. Hence providing that the tutor who you enroll is both online tutor and content creator, than it’s no brainer for tutors willing to jump into such opportunities especially if they specialize in math. Plus any agency managed math tutors,  who work with us as agency managed tutors get to be more aggressively marketed than non-agency managed tutors, through sites like Facebook.com/MathTutor and Study Guide related sites and many other sites where students can find them. Plus tutor actually gets to make money from tutoring students for this product relevant exam, and get to make money from product  sales of each individual component of Diagnostic Study System. No body does that, not 1 company that you find anywhere on the internet, and the ones that do, are nothing but greedy big corporations, who charge insane agency fees, fees that I Rome Wells founder of Tutoring Services, LLC intend to shrink in entire industry. Unless you have a specific reason to hire high agency recurring fee that is justifaible do not charge high fee, students do not like that and that creates education non affordable. Of course if the product is higher quailty then higher agency fee is justifiable. Instead companies prefer to pay their tutors garbage rates in effort to minimize expenses, and resulting creating garbage products, those students are not happy about. We make distinction to the math market clearly, that our agency managed tutors are simply the best in comparison to non-agency managed tutors, because they are specialized and get more incentives and because of that, they are more expensive and best. Plus we simply do not enroll any one into our system unless they are trusted tutor, your agency would have to exercise the same algorithm that our company has created to verify tutor's trust before enrolling one. Of course students do not have to get our agency managed tutors, but that is the ultimate choice they would have to be willing to take. Most students who prefer to fail multiple times would not hire our agency managed tutors, and these who prefer to have higher chances of passing would most likely end up hiring our agency managed tutors. In fact to help you better compare and see what is exactly the difference between agency managed math tutor and non-agency managed math tutor go here and see for yourself Facebook.com/MathTutor. If it’s so easy to convince tutors to create this product why isn’t Tutoring Services, LLC does it themselves? We are educational marketing company with recognizable name. Just like when you see a movie and in the movie it says “Presented by Columbia Pictures” think of Tutoring Services, LLC as Columbia Pictures, and then in the move you see smaller names of other companies… think of your company as that smaller name… company… this is the best way we can explain who we are. Our goal is not to make you do all the work, and us not do anything. We already created what we had to create, to get your attention, now it’s your turn to step up the plate and come forward if you truly think you are the best online educational test prep company and show us that you can create this and have your name along our name and get the opportunities for your company that you would not get otherwise. Obviously we wouldn’t affiliate with 3rd party company who does not have any project management test prep development experience, you must have experience in creating mathematical content. What if I am a math tutor myself, and also an agency and believe I can architect this course and even have my self being as agency managed tutor then get someone else to help down the road and enroll them as agency managed tutor, can I contribute? If that is the case, in fact that is precisely the type of candidate we would provide priority to. Why? Well because you simply get to keep more money for your self without having to share with anyone by being agency managed tutor and managing your self, under umbrella of Tutoring Services, LLC. However that also means, providing support to students for when they are trying to buy the product, or have any questions and being able to provide tutoring services on flexible basis to students and project manage creation of entire course and create content…. Are you up for it? Are you the super math tutor that we are looking for? If so definitely let us know by responding to this email Ross@stamfordmathtutor.com or through chat icon on bottom right corner. Wait but what will Tutoring Services, LLC do if some 3rd party agency gets to do all the work? Plus you get to use our platform that allows you to differentiate tutors, and get to be strategized by Tutoring Services, LLC Network Consulting company who will set you in the right path of making money in this product and will also drive other students, helping you generate more money and obviously helping Tutoring Services, LLC generate money and will also help other companies who specialize in Test Prep as well make money by creating affiliate partnerships with them, and helping them become Tutoring Services, LLC affiliate partner, which in turn would make it possible for your company to generate revenue from sales brought by other agencies who teamed up with us as affiliate partners. Additionally we would use our inter combination of network tutoring sites and sites like Facebook.com/MathTutor sites like Praxis2.org StudyGuide.net and many other sites that drive teacher traffic. Plus depending on how you execute this Diagnostic Study System your 3rd party online tutoring/test prep company may also end up getting projects for other mathematics exams. In either, case being contributor is much better than being simply affiliate and selling our product. Although it’s still good, because you get to make some money advertising our services and giving useful advice to students showing them how they can prepare for their math exam. Of course you do not have to do any of that, and can just say I will create my own strategy. In either case, whatever the case maybe we are here to help Tutoring Online companies and agencies. Our goal is to make education high quality, while also provide options for affordability. How many contributors can Tutoring Services, LLC have? There can be only 1 online test prep company, who project manages creation of the product, but you can always contribute by pointing link to our product or by joining our affiliate membership program, and we will return that favor for you in one way or another. GMAT Hacks Author is Jeff. Jeff Sackmann has been helping students like you reach their GMAT score goals for nearly a decade. Jeff began as a star tutor and classroom teacher for a big test-prep company. Since 2006, he has focused on developing the best materials in the industry, saving you time, money, and stress. In his books, Jeff focuses two things: building solid content knowledge and providing extremely realistic practice material. Unlike many other resources on the market, his practice problems are virtually indistinguishable from the real thing, making you that much more prepared for the GMAT before you sit for the exam. Jeff managed to figure out a way how to hack GMAT exam and packaged it neatly in 2 main books, specifically for math quantitative section and verbal section. Jeff managed to infuse his tutoring experience, to create test prep material that is certainly unique, and definitely affordable in comparison to what's on the market out there. Jeff didn't just create GMAT books for math and Verbal, but went above and beyond by creating a 3rd book as well, that covers 111 GMAT: Tips, Tricks, and Tactics, which walks you hrough the entire process, from determining a goal score, to encountering Data Sufficiency for the first time, to handling the stress of exam day. Some of these tips of course you can find in other books, such as exam secrets, etc, but Jeff managed to infuse some of the tips that are indeed unique in comparison to other content available on the market. Cool part about his books, that i like the most is first of all they are way more affordable then fully blown packaged GMAT courses. However in regards to claim from the author that this is the only book that you would need to prepare to tackle your GMAT exam, well... I wouldn't go that far. Simply because there are multiple types of students, and everyone learns differently. Can Jeff's books provide great level of learning effectiviness? Yes, would I put my faith into studying only from one resource for GMAT? Probably not. My advice always study from multiple resources for maximum learning effectiviness. One test prep vendor can cover concepts in different way that another vendor simply couldn't cover the right way for your particular learning style. Also one thing i noticed with Jeff's site some links were broken, and some content is a bit outdated. However, what I like the most about Jeff is that he is not just some company who created GMAT prep, but instead from an actual person full of GMAT educationa test perp passion. When books are created by individualized entities, rather then companies, they tend to cover information in holistically different way, and in many caseses end up maximizing learning effectiveness, by making books more interesting, simply because bigger companies mostly hire educatorsto create some content, but such educators only get paid hourly and in some cases simply don't care about student success (since in many cases they are working for someone else rather than themselves) other than to create content and sell it (hence in bigger company type of books that you find on the internet, it's just much more difficult to be engaged into study content). How doI know that (Rome Wells)? because I run company myself named Tutoring Servcies, LLC and know how to decipher quality product from mass products. What I am seeing with Jeff's resources is passionate GMAT resources created by not just someone who wanted to improve his chances of helping students out by creating a book and selling it, but by someone who also happen to be an educator himself as well helping students and tutoring them as well (In some way Jeff even reminds me of me Rome Wells). Having such breed of a combination and infusing such level of experience into GMAT Hacks books is indeed what makes Jeff's books different, plus they are way more affordable then the local tutor or packaged course. Hence if money is a huge issue and you can't spend money on packaged courses, then Jeff's book can be one of the most affordable ways to prepare. If you are weakest in math, for example for maximum learning effectiviness, I would prepare with Jeff's GMAT Math book + either examPAL or GMAT Pill. This way you are studying from multiple resoruces, for higher chances of improving score. Then if you really need to be in top shape and must have an absolute top GMAT score, then I would study with Jeff's book + GMAT Pill or examPAL or other packaged course + local tutor. Local tutor may know many things that you simply don't and is indeed expensive but, at the end of the day is worth it, especially if you are simply not good studying on your own, or simply can't manage to improve your score, no matter how hard you try. If you have to prepare for the GMAT Quantitative section with only one resource, this is it!. Total GMAT Math contains hundreds of pages of tutorials explaining every single type of question you're likely to see on the exam. Not only that, each one of over forty sections is followed by a drill section with exercises to ensure that you understand the content. There are over 500 exercises in the book! Best of all, each section is also accompanied by several realistic, practice GMAT problems. The book contains well over 300 brand-new practice questions that you won't find anywhere else. 100 of those questions are specially designated as "Challenge" questions. Total GMAT Math is jam-packed with effective, proven techniques, coupled with enough practice to make sure they sink in. They are the skills you need to get a 99th percentile score ... but explained without assuming you could already get one. This e-book is only $49.95 Jeff also sells Amazon version which is basically the same thing, but hard copy, but costs $10 more istead of $49.95,  $59.95, however if i was preparing for GMAT and money was seriously an issue, then if it was me instead of paying $49.95, I would instead get both books the Math book and Verbal, and save additional 10%. So instead of paying for math book $59.95 printed version, I would get non printed version, since it's available right away and downloadable right away, instead of me waiting for it to arrive and plus it's cheaper, additionally I noticed Jeff offers 10% if you get both verbal and math books, totalling $89.95 wow which is even more cheaper. If you were to go to Amazon and buy them seperately you would pay basically $120, instead if you were to purchase it as a bundle you get to save 10%  When you visit Jeff's site look for this image shown below, to take advantage of the savings. Note, one thing I like the most is that Jeff, doesn't just sell one book with both math and english type of test prep material, instead he seperates it into 2 types of books. This is actually pretty good, because some students may be really good in english, but bad in math. In fact Rome Wells strongest subject is Math, and not English. Hence, no reason to pay twice as more for something that you don't need. Hence if you are skills are not that great in math, but good in English, then guess what getting GMAT Math book can most certainly help you improve your chances, and get such book for very affordable price, in comparison to other resources that exist on the market. However, keep something in mind, some of the packaged courses that are way more effective, then static book reading, also in some cases offer discounts, so if you think about it, if you get an actual packaged course instead of what Jeff is selling, and happen to fall into promotional period, then the difference between the price of what you would pay for Jeff's book and packaged course may not be huge! Yet the amount of time you save studying from packaged adapative course, would be more! Essentially equating your amount of potential money spent, from the perspective of amount of time you may waist of studying for GMAT statically! Often no one tells you about such things, but Rome Wells does! So definitely before making your decision be sure to contact us (especially if Rome Wells contacted you directly) and ask if there is any promotional coupons available for packaged courses. However, if you do made up your mind already and want to proceed with Jeff's affordable book instead, then definitely feel free to continue reading to view more information about Jeff's GMAT Hack Books. GMAT Total Math book is Jeff's most popular book (Rome Wells don't blame him... math is difficult subject heck, I my self used to struggle in math). (It was formerly known as "The GMAT Math Bible.") Clocking in at over 425 pages, it contains 300 realistic GMAT math problems and over 500 exercises, along with full explanations. Best of all, the book is broken down into about 40 chapters, each of which covers a single GMAT math topic in depth. Total GMAT Math has hundreds of pages of tutorials explaining every single type of question you're likely to see on the exam. Not only that, each one of over forty sections is followed by a drill section with exercises to ensure that you understand the content. There are over 500 exercises in the book! Best of all, each section is also accompanied by several realistic, practice GMAT problems. The book contains well over 300 brand-new practice questions that you won't find anywhere else. 100 of those questions are specially designated as "Challenge" questions. In my ten years of helping people prepare for the test, I've always wanted a resource like this one. No other book on the market does what Total GMAT Math does, or else I'd be telling you to buy that one. The book contains many of the same effective, proven techniques that you've read on GMAT Hacks, only more of them, with a lot more practice to make sure they sink in. They are the skills you need to get a 99th percentile score...but explained without assuming you could already get one. To view actual examples of content inside the Jeff's book click here. Thousands of students have used Total GMAT Math to increase their GMAT Quantitative Score. Now, you can use Total GMAT Verbal to do the same for your Verbal score! Total GMAT Verbal breaks down the Verbal section into a series of passage structures, question types, and patterns that help you understand what to expect on test day, and how to handle it. There are over forty chapters in the book, covering everything from Critical Reasoning answer choices to Reading Comprehension science passages to Sentence Correction idioms. TGV does more than just instruct, it provides ample practice. There are over 200 realistic, GMAT practice problems covering every Verbal question type you can expect to see on the exam. Ever since readers started using Total GMAT Math, they've been clamoring for this book. Now that it's here, you can focus all of your Verbal study efforts in one place and learn everything from common Critical Reasoning argument structures to the reasons why some grammar rules are more important than others. Need it right away? Want to save a few dollars? The eBook may be the best option for you. If you choose the eBook option, Total GMAT Verbal is available for instant download. You can print it out or view it on your computer, and you don't have to wait for it to arrive in the mail. To view what's inside of the book, in more details check out here. Be sure to check out Jeff's bundle, where if you buy both ebooks, you would only pay $89.95, when you visit Jeff's be sure to carefully check his site for bundled 10% deal it will look something like this. This book is basically $9.99 super cheap! There are a lot of books on the market that aim to cover the content of the GMAT. Rarely does such a book provide an thorough strategy for studying, preparing, and attacking the entire test. That's why I wrote GMAT 111: Tips, Tricks, and Tactics. Broken into 111 bite-size chapters, it walks you through the entire process, from determining a goal score, to encountering Data Sufficiency for the first time, to handling the stress of exam day. 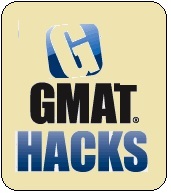 More than anything else I've written, GMAT 111 is like a "Best of GMAT Hacks." For the last four years, I've been sharing my insights on this website. GMAT 111 organizes and combines them into one resource--and even long-time readers will find new concepts here to improve their score. This book is designed to be concise and to-the-point. Each chapter is no longer than one page, meaning you can read and understand a new idea during downtime at work or in a few minutes before bed. Each concept is actionable, so you can immediately put it to work in your next study session. But don't take Jeff's word for it! Check out this link for your self, where you can read the introduction and three sample chapters, as well as browse the full table of contents. Mathematics is one of the most important subjects that are taught to students but with recent negative comments towards the subject, students are most likely to be wary of the subject. Undeniably, the subject IS difficult, but the greatest factor that affects students’ way of taking the subject is how the educators teach it to them. Educators have to be patient and considerate to their students so as to maintain the students’ attention to the subject. The Florida Department of Education (FLDOE) conducts the FTCE Middle Grades Mathematics 5-9 Exam to test such educators’ capacities. Passers are granted certifications that allow educators to practice in the state as a Middle Grade Mathematics educator. There are two certifications available, professional and temporary. Professional certifications are valid for five academic years and are renewable while temporary certifications are valid for only three academic tears and are non-renewable. After temporary certifications expire, educators must then apply for a professional certification to continue teaching. The Florida Department of Education requires applicants to first comply with certain eligibility requirements in order to be qualified to take the exam. Both certifications require applicants to hold a bachelor degree in Middle Grades Math Education or in any course related. For professional certifications, applicants are also required to have a master’s degree. For temporary certification, applicants minimally are required to have a 2.5 GPA in the subject. A fingerprint report is also needed for both certifications and only after duly processing these files will the board grant the certification to the educator. 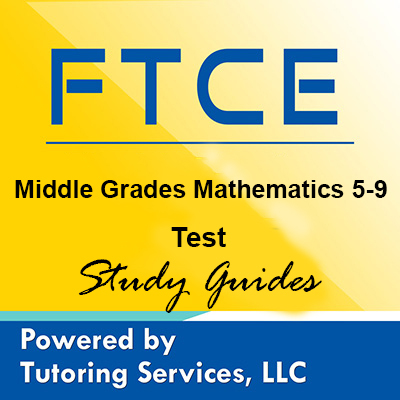 The FTCE Middle Grades Mathematics Exam covers mostly basic topics in mathematics. The test also includes questions that test the educators’ knowledge on how to deal with students who have a hard time with the subject. Listed below are ten topics that are to appear in the exam. Beside it are percentage values that represent the number of questions on the certain topic in the exam. Considering the level of difficulty and the amount of time given, it would be wise for examinees not to dwell to long on a single question and answer the easier ones first. But to lower the standard on which questions are difficult, a study guide particularly crafted for this test would be very useful. Not only will it refresh and improve your knowledge, it will also prepare you with possible questions that would appear in the exam. With hard-work and determination, acing the exam on the first attempt will be very possible. Did you recognize this NES Mathematics (304) Test Flashcard? This is the remarkable study guide that pushes you up and let you obtain the teaching certification in National Evaluation Series. It will help you carry away the pressure that could be the possible reason of some test takers who surely drown in failure. So that is why experts from this field of subject create a flashcard system that supports the candidate to excel the forthcoming NES test. You will experience the technique of this prep guide to make your preparation more productive and it will give lots of ideas to answer every question in accurate and in a timely manner. Be one of the future educator in the state of Arizona, New Mexico, Oregon, Washington, and Wisconsin! Wait no more, buy this NES Mathematics (304) Test Flashcard. The upcoming NES Mathematics Test is a test set in ever year round. Every appointments for this exam is available on a first-come, first­­­­­­­­­-served basis. This examination is a Computer-Based Test (CBT) composing 150 multiple-choice questions, candidates should get the 220 national benchmark score to get the license as a certified teacher. The examination will cover four hours and 15 minutes. Candidates can check their scores in states of Arizona, New Mexico, Oregon, Washington and Wisconsin. Test takers must prepare $95 for testing fee. On-screen calculator is provided with the test along with formulas. Scaled score will be provided immediately after testing; score reports are released within two weeks of testing. Each candidates must abide all testing rules and policies. Listed below will be the topics (main topics and subtopics) needed for test takers as their reference of reviewing. Knowing the fields needed to evaluate is a good sign of high score. Candidates must know their role and start the review ahead of time. •         Linear, quadratic, and higher-order polynomial functions. Each main topics are graded according to heaviness of examination topic percentage. Most percentage topics should be reviewed greater than the those where not. MTTC Michigan Mathematics Secondary 22 Exam Exam: What is it all about? 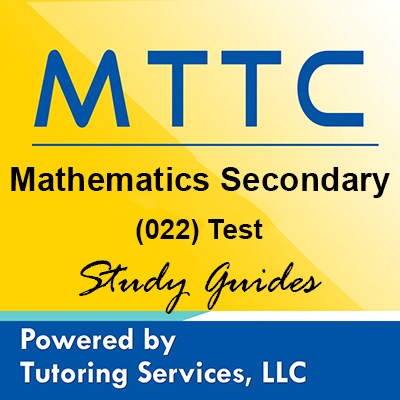 MTTC Mathematics Secondary 22 Exam is designated by the code - “022”. This is a mathematics certification exam that is designed for math teachers to judge their advanced mathematical knowledge level. This MTTC Mathematics (Secondary) test assesses the candidate’s ability to excel in the advanced patterns, number concepts, secondary level algebra and geometry, probability, statistics and measurement concepts. If the candidate has a good foundation of secondary level mathematics, then it is just a cup of tea to excel. Test pattern of MTTC Mathematics Secondary 22 Exam just like the elementary test includes multiple choice questions with 4 choices out of which the candidate will have to choose one right answer. This MTTC Mathematics (Secondary) test is scored on a scale of 100-300 and the candidate will have to score a minimum of 220 marks in order to pass the test. The test taker is free to make his choice without being biased by the negative marks for answering the question wrongly. In addition to study test prep tools that you find on StudyGuide.NET you can also get help from an online or local tutor. Tutoring Services, LLC is helping educators and future teachers get help from other subject matter experts and help educators prepare for MTTC exam. TutoringServices.com offers flexibility for Michigan state educators to find a tutor, locally or online, contact tutor and get help. This is a recommend option for students, and best of all site doesn't even charge any tutoring agency comission fee like other agencies do. So what are you waiting for? Find a Tutor today! On the bottom part of this page you will see lists of mttc test study guides, to help you review and prepare for your examination. Change the default menu for Show into desired number of items you wanted to view. Also along side with each study guides there is a button called “Buy Now”, click it for each reviewer you wanted to obtain. Locate the surest approach to hop the impediments pointing the College Level Examination Program and get palatable evaluations that may lead you to turn into one of most noteworthy instructor in your nation. In any case, to exceed expectations to the test in smooth way, you have to make arrangements as your planning will gainfully do flawlessly. To start with, you ought to observe the supportive reviewer to be your study partner in times of your examining. Specialists reveals this CLEP College Mathematics Exam Secret to lead every single test taker in the best readiness which could give viable methods and strategies on the best way to confront the real exam with less pressure and picking up the information that make you answer the questions in exact way. Get your own CLEP College Mathematics Exam Secret at this point! NewCanaanTutor.com is part of CallMyTutor, LLC, any copyright infringements are prohibited any violations will be actively pursued.